Be warned. At one glance, author Sheila Lowe can almost instantly know your deepest secrets and take the measure of your personality. For these insights, she does not rely on clairvoyance or palm reading, but on something seemingly more mundane. It is an expertise that serves her well not just in the corporate world, but in the world of fiction. Since 2007, her popular “medium-boiled” series featuring handwriting expert Claudia Rose has been engaging audiences. Her newest installment is WRITTEN OFF, in which Claudia finds herself flying from sunny California to wintry Maine in order to retrieve the manuscript of a murdered psychology professor. Claudia’s expertise enables her to gain insights into the characters who are now persons of interest in the professor’s death. There’s more at stake here than catching the killer. The dead professor has left behind a considerable fortune and a mansion. She also has left behind a ragtag mix of troubled students. Again, handwriting plays a role in seeing beyond the facade that characters may be presenting to the world. 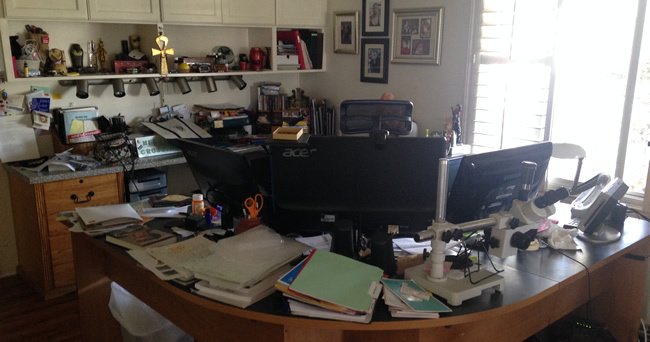 Like her character, Lowe lives in California, writing from a curving desk in her Ventura home that her friends call “the command center.” It occupies half her kitchen and is filled with monitors and stacks of folders and notes. There is even a microscope for Lowe’s other professional pursuit, which is handwriting analysis. In a phone interview from that desk, Lowe comes across as wise and kind and insightful, much like her character. A tattoo artist? A rock star? This is someone who encouraged her children to follow their bliss. She noted that Erik helped with some insights into tattoo art as part of Lowe’s fifth novel in the series, Inkslinger’s Ball. “He took me to a tattoo convention for research,” she said. And for the record, Mom did not get a tattoo. An interesting quality of WRITTEN OFF is that while handwriting analysis features prominently, it is not necessarily the tool that brings the killer to justice. Instead, Lowe noted, the handwriting analysis helps to give Claudia insight into the other characters. I sent Lowe a sample of my handwriting, which she was kind enough to analyze. Her response was intriguing: “I’d guess you write thrillers to give the rather dark side of your personality an outlet.” What I deemed as sloppy handwriting, she described as impatient. Based purely on handwriting, Lowe went on to theorize about a childhood experience that shaped my adult personality. Her insights from a single hand-written page were revelatory, and quite unsettling. Suddenly, I felt like a character in one of her books. I was reminded of the captivating scene in WRITTEN OFF in which Claudia analyzes the handwriting of skeptical faculty members during a cocktail party. The scene serves to offer insights into characters who might be suspects in the professor’s death. In the process, Claudia reveals traits and histories that leave some characters reeling. It’s anything but breezy party entertainment. As a graphologist, she spends several productive hours early in the day on her consultant work in the field, before moving on to writing. CURIOSITY OF THE DAY: Presidential autographs for sale. As for her writing habits, Lowe said that she is “allergic to mornings” and tends to start writing around 10 p.m. and work until 1 a.m. or so—unless there’s a deadline looming, in which case she gets an earlier start. Her daily goal is to edit the writing from the previous day and then produce around 1,000 words of new material. She needs to start with a title, which is a quirk of many writers. The next step is to rough out the plot in a notebook so that she knows where the story is going. Once that is done, and the story is formed in her head, she sticks to the keyboard. The writing all gets done at that command center. If she gets stuck along the way, she finds that employing “grapho-therapy” is useful. The technique uses handwriting exercises done to music to encourage creativity. What’s next for Claudia and this intriguing handwriting series? 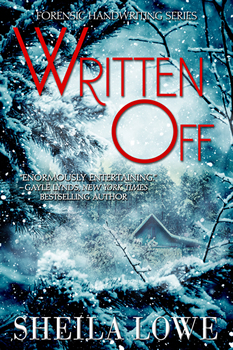 Judging by her brush with a Maine blizzard in WRITTEN OFF, Claudia may be taking some time off to warm up while Lowe writes an altogether different novel. Until then, there are six previous novels in the series to catch up on, and a lot of handwriting clues and insights to consider. The mother of a tattoo artist and a former rock star, Sheila figures she’s a cool mom. She lives in Ventura with Lexie the Evil Cat, where she writes the award-winning Forensic Handwriting series. 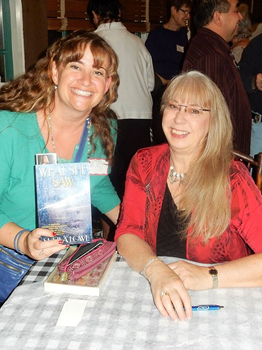 Like her fictional character Claudia Rose, she’s a real-life forensic handwriting expert who testifies in court cases. Despite sharing living space with a cat, Sheila’s books are “medium boiled,” psychological suspense, definitely not cozy. She puts ordinary people into extraordinary circumstances and makes them squirm. Her non-fiction books about handwriting include The Complete Idiot’s Guide to Handwriting Analysis, Handwriting of the Famous & Infamous, and Handwriting Analyzer software. 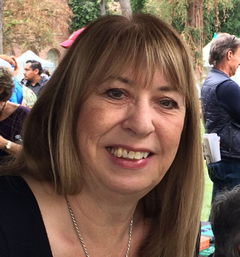 To learn more about Sheila, please visit her website.